Merry Christmas from ChurchTechToday and all our valued sponsors and contributors. This year has brought readership growth, contributor variety, and many new sponsors joining the ChurchTechToday family. 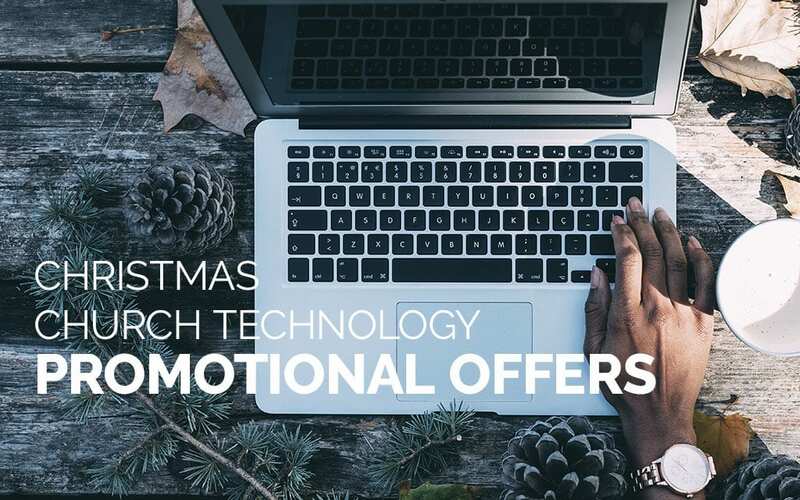 Because we all like free things and special deals, I’ve gathered together a smorgasbord of good church technology stocking stuffers for you this December. ChurchBase is offering 25% off all annual church app plans along with a guarantee your church app will go live before Christmas. Follow the Christmas Playbook to sign up and get set up before Dec first. Also for a limited time, all customers get the Church Base ChMS, Giving Suite, and Event Registrations free for life. Let’s reach more people together this Christmas Season. December 25 is the big day, and Church Butler is here to put social media to work for your church this Christmas season. You’ll find pre-designed social media images and videos, perfect for Christmas and all month long. Use Promo Code CHURCHTECHTODAY and get 30-days access for only $1 and if you choose to stay, you’ll get a discounted rate of $12.25/month going forward. RA Marketing has put together an incredible package to help church communicators nail Facebook Ads the first time. These professionally designed Facebook Ad campaigns for churches can ignite your church marketing and drive your holiday attendance. Your church can sign up now for $127, or wait until Black Friday through Cyber Monday to get 32% off (bringing the price down to $87) during November 23-26th. Then the price will jump back up to $127 until December 8th at which time they will close down sales for the pack completely. With the holidays right around the corner, easyTithe compiled a jam-packed guide to help you prepare for #GivingTuesday and Year-End Giving, complete with professionally designed social graphics, email templates, and more. Plus, you’ll have the opportunity to get one free year of the MinistryOne app ($468 value) if you sign up for easyTithe by 12/31/2018. Graphics.Church is a ‘done for you’ church graphics monthly service for churches. If you want to kick-start your Christmas design projects and not fall behind, take advantage of Graphics.Church’s $100 off special and free Christmas Promotion Blueprint PDF [download here]. Normally $299, with $100, $199 get you a custom Christmas design project that includes one strategy phone call, the free blueprint, and multiple design formats including up to 20 deliverables for web, email, social, slides, print, and more. The special discount is through November 30. Most churches typically focus on getting new guests via Facebook ads, mailers, and word of mouth. But why not include your “hottest” potential guests: those first-time guests who visited last year. Why not invite those visitors back? Send them a text or voice broadcast thanking them for visiting last year, and inviting them back for this year’s service. PastorsLine is offering an extended free trial and additional credits when you sign up between now and November 30. Instead of getting their standard 30-day free trial that comes with 500 credits, they will give you 2000 credits and extend the free trial to 60 days (worth $100) – NO credit card required! Just use the invite code: SEASON. That’s over $200 worth of Christmas assets for….. only $7! Grab it now at XmasBundle.com.